Here in Zurich is around 9 am and I'm just finished my breakfast. Today I'm going to go to the Nacional Museum of Zurich and then I'm going to visit the lake. But first, I'm going to have a little walk in the city to buy something to my family and friends and obviously for me too. I just arrived to the hotel in this exhausting day. The museum was very big and with a lot of historical objects, it was interesting. The lake was very beautiful, it was very large and in the night the moon reflect in the lake so the view was awesome. 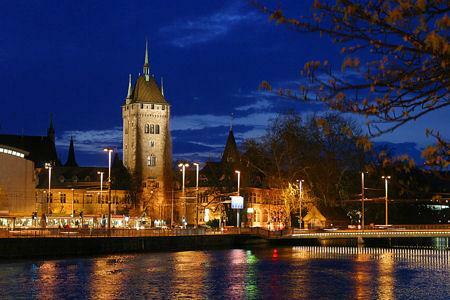 Zurich was a very beautiful city and the people was very nice too. I`m going to take very good memories of this place, I wish I can stay here a little longer but I can't :(. My plane to Amsterdam leave tomorrow moring, so nom I will prepare my suitcase and then I will go to sleep because I don't want to miss my flight!